Quite many peoples asked to get some feedback from our end. Since we do now many other things, we decided to share some of the stuff we experiment. 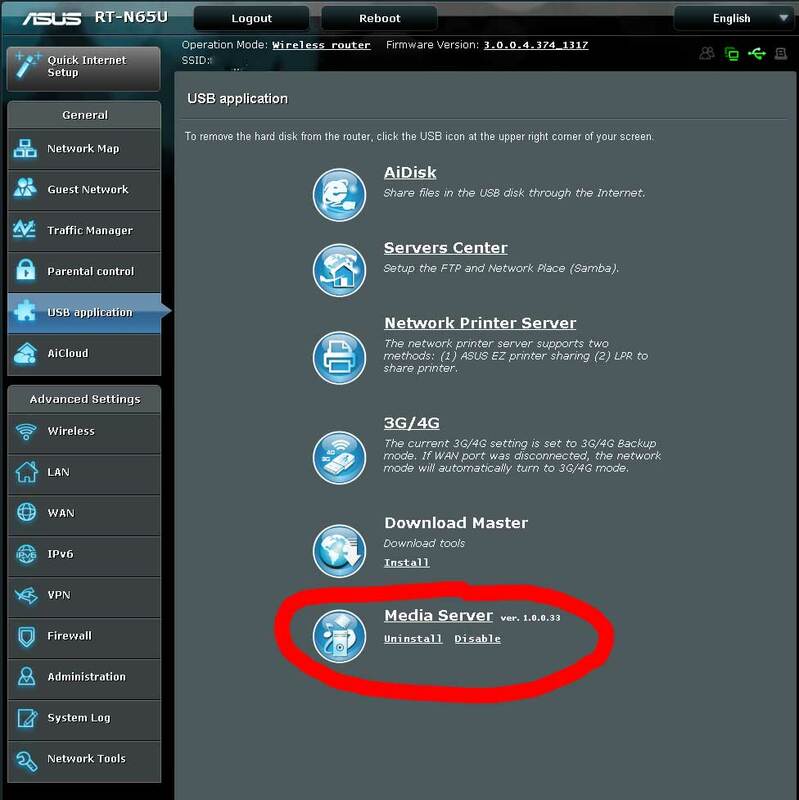 There was a link closed to “Media Server” which mentioned that there is a new version and a link to update. Once clicked the update link, the old version of MediaServer has been uninstalled and the new one started the installation process. Unfortunately the process stopped with an error, like “Failed to upgrade the application. This may be caused by an incorrect file or an error in transmission.” Retrying after that, ended with other error like “Enable Error”. 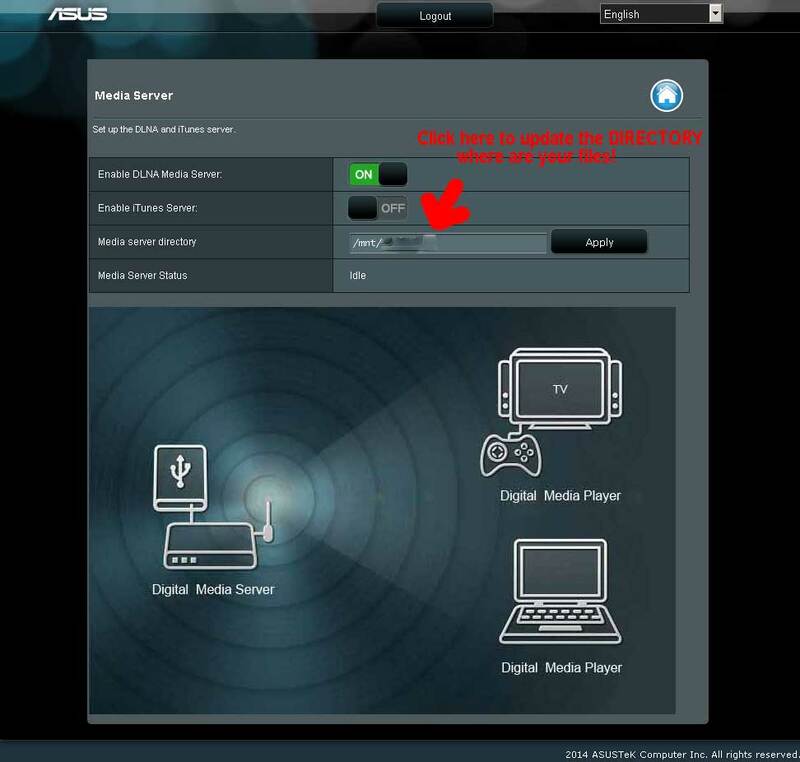 You need to manually update the Firmware for your asus router (i used to have version 3.0.0.4.372 which using the Administration -> Firmware Upgrade -> “Check button” is mentioned being the latest version (which is wrong). Clean the old directory from the router where such MediaCenter files are kept. Be careful, if you use other services too (like Download Master). The simplest way is to connect over samba (so go to \your-router-ip using TotalCommander or even Windows Explorer) and rename the directory asusware to any other name. Optionally, you can also delete the files like .___var.txt, .__admin_var.txt .. (from root directory), will be recreated later on. Now unmount the USB HDD. Using your web interface which is connected to the rooter, go to Network Map, then click the USB device (may be called “Generic External” and then at “Safely Remove disk” press “Remove”. Once previous step is finished, just remove and connect again your external HDD on the USB port of the router. The process to mount the hdd will start. Now, go to the web interface of your router and follow the normal steps: USB Application -> Media Center (Install) and worked just fine. You can optionally use another firmware for a Media Server working for ASUS RT-N56U/RT-N65U which is really nice. I got another problem since I’ve made the mediaserver update. This worked perfectly for me!! The following are the steps I took. 1) I unmounted the drive using the Asus app. Thank you for your advice, this helped a lot. thanks a lot. I had the same problem like many others with the RT N56U media server with the latest FW. Did the same as per the instructions – deleted the files from my hard disk and attached it again. It is working well now. Able to stream movies from the router to my TV via AppleTV. Hopefully this will work. Had a lot of struggle and wasted time. 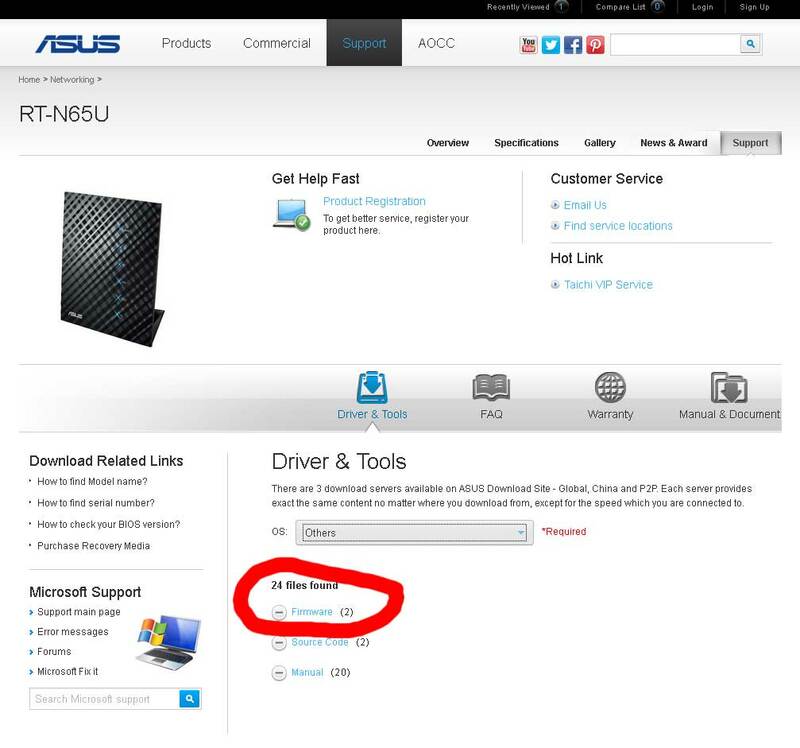 Good to see Asus are keeping on top of this and all the other replies on the net. Oh no, wait… they couldn’t care less, that’s what it is! Thanks for the great support and guide, same fix worked for ASUS DSL-N12U_C1, after doing so many changers I was able to fix the issue because of you guys. Thanks a lot.